The draw for the qualifying rounds of Euro 2016 was made on 23/2/14 in the opulent surroundings of the Palais de Congrès Acropolis in the French city of Nice; as hosts of the final stages of the competition, France were not included in the qualifying draw, but the rest of the 54 member associations of UEFA found their names in the hat. The draw ushered in a new era for international football in Europe in some ways, and it was also the first time that Gibraltar have been included in a draw at senior level. Perhaps a more relevant aspect for many was the fact that the final stages of Euro 2016 shall involve 24 teams instead of the 16 who qualified last time out; whether this shall be a good thing shall become more apparent through time. The nine group winners plus the nine group runners-up and the best third-placed team will qualify directly for the final stages of the tournament, which will run from 10/6/14-10/7/14; the other eight third-placed teams will enter into four two-legged play-offs. UEFA have also made a further tweak to the international football calendar by introducing what they call the "Week of Football," which will see Euro 2016 qualifiers being played from Thursday to Tuesday instead of Tuesdays and Saturday, and which shall doubtless see yet more inconvenience for supporters as well as reams of players being absent from league action in a number of countries because of international duty. Oh, for the good old days of international fixtures being played on a Wednesday evening, which was the norm for many years.. Eight of the groups (Groups A-H) shall involve six teams each, whilst Group I shall see five teams in action. Interestingly, France, who are to host Euro 2016, shall be playing what the UEFA website describes as "centralised friendlies" against each of the teams in Group I.
Ireland, Scotland and débutants Gibraltar all feature in a very intriguing Group D alongside Poland, Georgia and red-hot favourites Germany. Gibraltar shall be playing all of their home games at the Estádio Algarve in the Portuguese town of Faro as their new Europa Point Stadium is not scheduled to be ready for action until 2016. National team manager Allen Bula had been hoping to host England in their group, but Ireland, Scotland and Germany should bring large contingents of supporters with them to the Algarve. It will be interesting to see how Gibraltar get on; they are, unfortunately, already attracting the same negative comments as San Marino. That is hardly fair on the Gibraltarians; after all, they have only played one UEFA-recognised international so far, a commendable 0:0 against Slovakia in Faro last November. Germany, meanwhile, should win the group, even allowing for their occasionally frail defence; the question is: Who shall finish second and qualify directly along with Joachim Löw's team? One country who shall be hosting England is San Marino, and supporters of La Serenissima should ready themselves for the usual tiresome diatribe featured in articles and social media comments containing otherworldly gems such as "pub team", "they shouldn't be in the competition" and "we can only beat what's in front of us." Fingers crossed, then, for some improvement in San Marino's fortunes, though England should qualify from a group where their only really serious contenders for top spot are Switzerland; Slovenia, however, despite a horrendous 2014 World Cup qualifying campaign, should not be totally discounted. Wales, meanwhile, have a list of tricky opponents in Group B: Belgium and Bosnia and Herzegovina, qualifiers for the 2014 World Cup and favourites to qualify directly again this time around, Israel, who may give the aforementioned countries a run for their money. Also in the group are Cyprus, whose fortunes are once again on the wane after a period of improvement at both club and international level, and Andorra, who are right down at the bottom of the UEFA rankings alongside San Marino, but who are a bit more difficult to crack open. Wales, now under Chris Coleman's management, may struggle; Gareth Bale alone does not a team make. Northern Ireland might have an easier time of it in Group F against Greece, Finland, Hungary, Romania and the Faroe Islands, although wins away from home - yes, even against the Faroe Islands - will most probably be the scarcest of scarce things. They should be more than capable of picking up a few wins at home in a group featuring Euro 2004 winners Greece, against who they shall probably have the most difficult time, but none of the other four teams in the group are exactly world-beaters at this moment in time. This group could turn out to be this qualifying tournament's fabled "Group of Death", as most of the countries involved are pretty much of the same standard. The Faroes are capable of picking up a few points at home, and may surprise Finland, Northern Ireland and Hungary. Iceland will find it difficult to repeat their heroics during the World Cup qualifiers, where they reached the play-offs only to fall at the final hurdle, losing 2:0 on aggregate to Croatia; they will be up against Holland, Turkey and the Czech Republic, who will all be right up there for the two automatic qualification spots. Iceland are capable of beating anybody at home, and six points from their games against Kazakhstan and Latvia at the Laugardalsvöllur are a distinct possibility. Spain, Ukraine and Slovakia will surely be unsurmountable hurdles for Luxembourg to clear in Group C, and it will be these three teams who should be occupying the top three spots in the group come late 2015, although points could be garnered by the Roude Léiw at home against Macedonia and Belarus, both of whom will have their eye on third place in the group. Liechtenstein may well have their own troubles in a group containing Russia, Sweden, Montenegro and near-neighbours Austria; their best chance of picking up a victory may come against Moldova. Malta could find themselves steamrollered in Group H, where they will meet up once again with Italy and Bulgaria from last time out, as well as Croatia and Norway. The Maltese could pick up a point or three at home against Azerbaijan, although it must be said that the Azeris are progressing well and could themselves cause problems for the other teams in the group when they come a-calling to Baku. Group I could prove to be the most interesting group of all; Portugal are the favourites to qualify directly for Euro 2016, though any of the other four teams in the group could conceivably join them. Both Denmark and Serbia will be looking to prove something after suffering depressing World Cup qualifying campaigns, whilst Armenia - who humiliated Denmark in Copenhagen during said World Cup campaign - and Albania, both of whom were in the same group as Denmark, are both improving and will be no pushovers. It should be a tight group, and one worth keeping an eye on. The first round of matches are scheduled to take place between 7/9/14-9/9/14. Please find below a list of all results from Tuvalu's tour of Holland which took place during the latter stages of 2013. Unfortunately, not all of the goalscorers are listed; additions to the records below would be warmly welcomed. There has also been some debate concerning the scoreline of the game between Tuvalu and RKVV Tongelre which took place on 12/10/13; the final score has been listed as 7:1 to Tuvalu in some quarters, when it was in fact 9:1 to the visitors. Match reports covering this and two other fixtures will be available to view on this blog shortly. 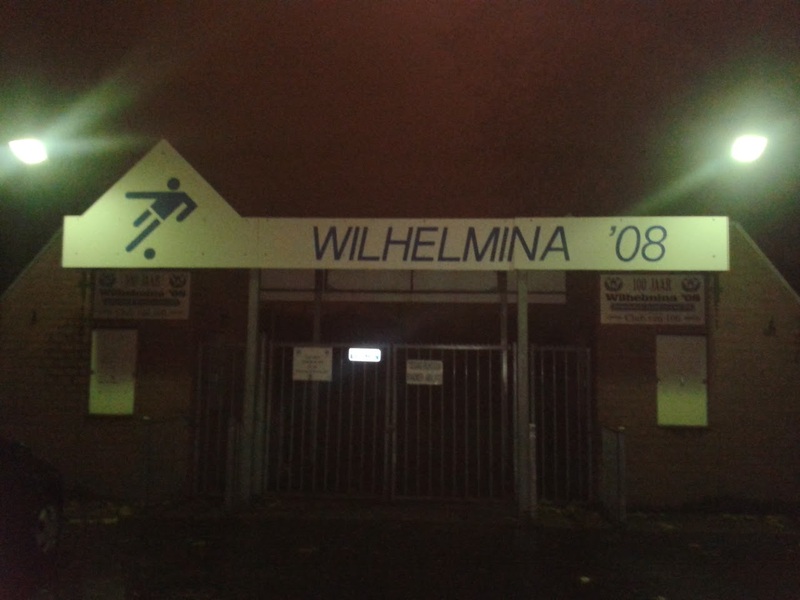 It should also be noted that there were several changes to the itinerary during the Tuvalu team's stay in Holland, and that their final match, which was due to take place against Wilhelmina '08 in Weert on 05/11/14, did not take place due to adverse weather conditions and a heavily waterlogged pitch. AUTHOR'S NOTE: Should anyone possess any further information regarding Tuvalu's goalscorers during the tour and would like to forward said information, kindly forward a message via the Pat's Football Blog page on Facebook. All photographs are author's own, and may be used providing acknowledgement is given. Dutch ninth-level club RKVV Tongelre, based in the outer extremities of the southern city of Eindhoven, played host to the touring Tuvalu team on 12/10/13, and it was an evening which not only saw plenty of goals, but one which also had its poignant side. The host club was founded on May Day, 1920, in the same year that the town came under the jurisdiction of Eindhoven city council, having had its own local council before then; it is now officially a suburb of Eindhoven. The town of Tongelre was founded sometime before 1241, when it was first mentioned in Dutch historical annals. RKVV Tongelre led a nomadic existence early on, having used a number of local grounds before setting up shop at the old Doornakkers sports ground. The club has reached the fifth level of the Dutch football pyramid on two occasions, for the first time in 1960, and again in 1986. 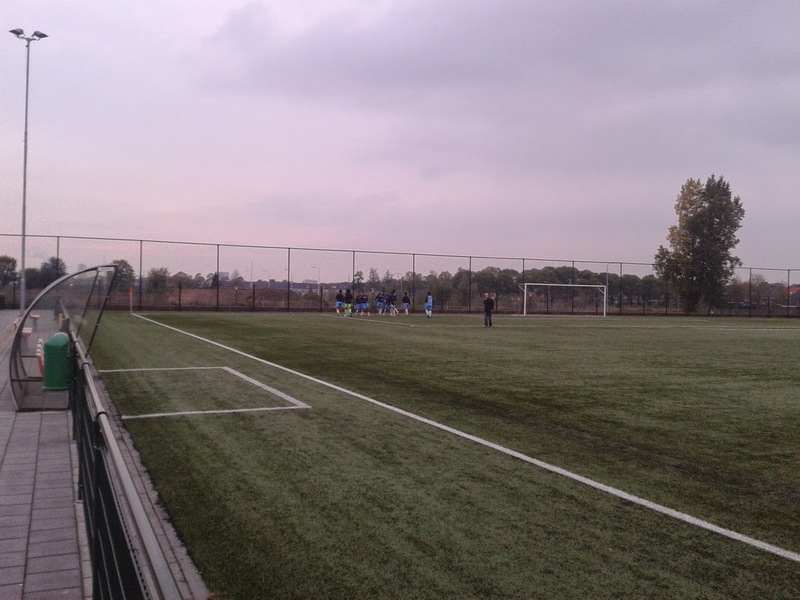 Tongelre moved to their current home, the small but not unattractive Tongelre Sportpark, in September 2009. Proccedings began with the now customary 101 kids versus Tuvalu kickabout, which was unfortunately missed by your correspondent, who was reliably informed by a Tongelre committee member that the visitors had suffered their heaviest defeat during their tour thus far, going down to the youngsters by 15 goals to 3. The main game, being played for the Herman Claas Memorial Trophy, named in honour of Tongelre's popular former chairman who died suddenly in July this year at the age of just 49, kicked off just as darkness was beginning to descend on what turned out to be a cool, though mainly dry, evening, and the first five minutes or so were pretty even, with both teams sizing each other up. Telava Folitau had Tuvalu's, and the game's, first effort on 6 minutes, bursting through the Tongelre defence with a run down the left-hand side before shooting just wide from the edge of the box. Shortly afterwards, Lutelu Tiute was put through, and his shot hit the bar with the Tongelre goalkeeper well beaten; however, none of the visiting side could capitalise on the rebound and the ball was eventually scrambled away to safety. Tuvalu had began the game with purpose, continually putting the home team under pressure, and they went in front in the 13th minute, when Taufaiva Ionatana collected the ball some 20-25 yards out, beat a defender and fired low into the goalkeeper's right-hand corner from the edge of the penalty-area. Tuvalu doubled their advantage just two minutes later when Alopua Petoa, courtesy of a run down the wing and low ball in from Tiute, found himself with the ball at his feet around 10 yards out; Petoa found it difficult to dig the ball out from under his feet but did so at the third attempt, and was able to shoot past the Tongelre goalkeeper. Things were going swimmingly for Tuvalu at this stage, and their third goal, Petoa's second, came a minute after their second. Petoa was the recipient of a ball played through the middle, and he had plenty of time to steady himself before stroking the ball high to the goalkeeper's right. Petoa almost earned himself a quick-fire hat-trick in the 18th minute, when he burst through the home defence again, only for his shot to hit the post. Tuvalu had chances to extend their lead further, with Petoa missing another chance after a flowing move, and another chance went begging just afterwards after another move involving several players broke down because of a misplaced pass. Tongelre's first real shot in anger came in the 23rd minute, a shot flashing dangerously across goal from the right-hand side; this was followed by three substitutions in the next few minutes for the home side. The substitutions failed to stem the tide of goals, however, and Tuvalu's fourth came almost on the half-hour. A cross from the left-hand side found Sepe Willie Nokisi, who played the ball to Ionatana on his right; Ionatana saw his subsequently shot well saved but Telava Folitau followed up the rebound to tap in at the far post. It was 5:0 for the visitors after 37 minutes when Nokisi was on the end of a precise through-ball, and his finish was just as precise, a side-footed slide of a shot which went under the Tongelre 'keeper. Tuvalu kept pressing and pressing, and on the end of another through-ball was Lutelu Tiute, but the keeper kept his effort out with aplomb. Five became six with 45 minutes showing on the clock, Nokisi's shot from distance squirming under the Tongelre goalkeeper and into the left-hand corner of the net. Two minutes later, Nokisi notched up his second with a shot from ten yards out, which bobbled a bit and was followed in by Tiute but the ball was over the line. There was some debate as to whether the referee had disallowed the goal for offside, but it appeared that the goal had been given to make the score 7:0 for Tuvalu at half-time, which arrived just a few seconds later. Both sides made a number of substitutions at half-time, and those made by Tongelre appeared to galvanise their team somewhat during the course of the second half, and it was they who had the first meaningful effort of the second half when, some two minutes in, their right-winger made a surging run and fired a dangerous shot across the face of Mauga Tonise's goal. A minute later, the ball was back down the other end of the pitch, and a botched clearance found Jelly Selau on the right-hand side, though his attempted chip reached an exposed goalkeeper without too much difficulty. Seconds later, Folitau was sent clear down the left-hand side, and his shot from an angle was well stopped by the opposing 'keeper, as was the Tuvalu man's second attempt. Tuvalu almost grabbed their eighth goal of the evening when a Tongelre defender almost put the ball past his own goalkeeper, but the 'keeper got back in time to scramble the ball away to safety. Panapa Mafoa was put through on the hour for a one-on-one on the home goalkeeper, but his shot was hit straight at the goalkeeper, who remained static and watched as the ball bounced off his right leg and away to safety. The Tuvalu team appeared to be doing their best to walk the ball into the Tongelre net, but any notion that things would get a little quieter for the home side's defence were shattered in the 62nd minute when Selau, himself Tuvalu's nominal national team goalkeeper, delightfully curled the ball into the left-hand side of the net from the edge of the penalty-area for his team's eighth. There followed a period of sustained pressure from the hosts, which began when one of their half-time substitutes forced a good save from Manga in the 65th minute; this was followed in the next couple of minutes by a shot from distance which flew well wide of the Tuvalu goal, and a volley following a corner which went just over Manga's crossbar. Another good effort from the hosts in the 71st minute was tipped round the post by Manga, but he flapped at the ball played in from the resulting corner-kick and Elo Turksma was able to stroll up and knock the ball over the line to finally give the home support something to cheer about. Tongelre were well worth the goal and much more, but Tuvalu were soon back on the attack with Mafoa being put through only for the goalkeeper to save his effort easily; not long after, Nelesone Musika, another half-time substitute, had the ball in the Tongelre net, but the goal was disallowed due to a foul on the goalkeeper. Moments later, one of the home midfielders headed against the bar following a Tongelre free-kick on the left-hand side, and just after that, Mafoa was put through again only for his shot to flash just wide of the post. In the 81st minute, Folitau's shot, destined for the upper reaches of the back of the Tongelre net, was superbly palmed behind by the home goalie. Folitau had missed a few chances during the match, but he did score Tuvalu's ninth a minute after his previous effort, when he was put through and crashed the ball home from 15 yards with the goalkeeper well beaten. Panapa Mafoa, meanwhile, was having a second half to forget; moments after Folitau scored, the Tuvalu no. 14 rounded the goalkeeper only to stroke his shot across the face of the Tongelre goal and behind for a goal-kick. In the 85th minute, he, Folitau and Musika all had shots on goal within a few seconds of each other, with the goalkeeper eventually able to put Musika's shot behind for another corner. Tongelre did mount another couple of attacks as the match neared its conclusion, with Manga saving well on one occasion which eventually saw the ball being scrambled clear with some difficulty. Tuvalu almost had the last word, with Sio Silitone rambling forward and shooting over from distance, before Mafoa had another go at putting his name on the scoresheet in the first minute of injury-time and almost succeeded, only to see his side-footed effort elude the goalkeeper but not a defender who hooked the ball away a yard or so in front of the goal-line. The match might have ended with a one-sided scoreline, but it could have ended 16:6 for the visitors, so great were the chances made (and missed) by both sides. It was a spirited second-half display from a Tongelre side consisting of a mixture of players from the club's current senior and youth sides side, representatives of the team which won a championship for Tongelre in 2000-01, and, last but certainly not least, Herman Claas' son Lennart. As usual, the evening ended with a display of Tuvaluan music and dance, with a set of wonderfully-sung Tuvaluan hymns added in honour of their hosts and in memory of the late Herman Claas, who would surely have enjoyed the experience. AUTHOR'S NOTE: The above match-report was written in early November 2013, but has not been published until now (apologies). The final score was listed in some quarters (on various websites and one or two fora) as being 7:1 to Tuvalu instead of 9:1; this appears to have been accepted as fact. No-one has provided direct evidence to disprove the score of 9:1, which was recorded by your correspondent in a list of results published in this blog towards the end of 2014, who was present at the match. However, to remove all doubt, a number of attempts were made to verify the score by contacting others who were also present at the match (and who might have seen something that your correspondent may have missed), but not even the club nor the match referee could provide any further information. If anything of importance has been missed, please forward the relevant information via the Pat's Football Blog page on Facebook. Many thanks to the RKVV Tongelre club representative on the night for providing the team-sheets; unfortunately, there were no shirt-numbers or positional information provided for the home team.Thanks, too, to RKVV Tongelre club secretary Robert Rikken, who wasn't overly bothered whether the final score was 7:1 or 9:1, and because of the day that was in it, his viewpoint is more than valid. In his own words: "As far as we're concerned..the match was [principally] held in memory of our ex-chairman, Herman Claas..the match was not the most important thing." No further commentary is necessary, apart to thank to all at the club for simply being such good hosts. 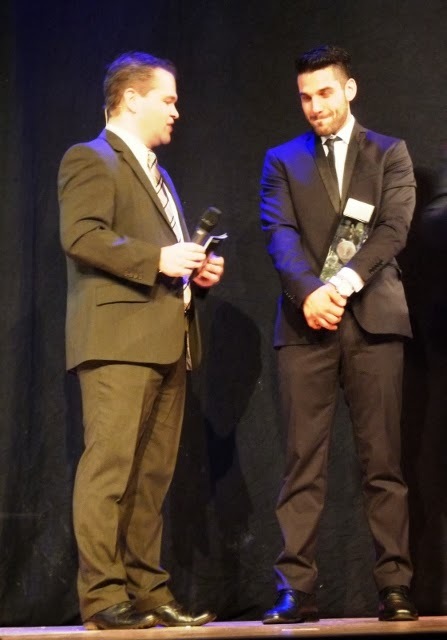 The great and good of Liechtenstein football gathered in the small town of Triesen's Community Hall on 5/1/14 for the 2013 Liechtensteiner Fußballverband (LFV) awards ceremony, which also featured the semi-final draw for the 2014 FL1 Aktiv-Cup. Awards were being presented for a number of categories, including Footballer of the Year, Manager of the Year, Young Footballer of the Year and Volunteer of the Year. 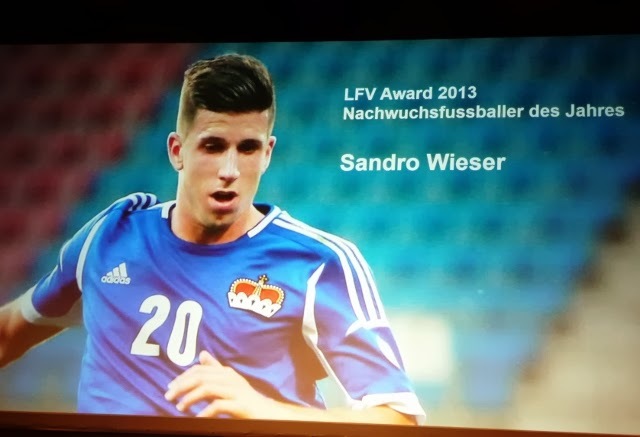 There were five nominees for the Young Footballer of the Year Award: Daniel Brändle, Vinzenz Flatz, Simon Kühne, Lorenzo Lo Russo and Sandro Wieser. Brändle, 22, has been playing in the Swiss Second Division for FC Bern since 2012, and, although yet to represent Liechtenstein at senior level, has played 15 times for the national under-21 squad, and previously played 3 times for the country's under-19 team. Nineteen-year-old, Flatz, meanwhile, has already represented Liechtenstein at senior level on three occasions, and is currently on the books of Young Boys Bern, but has yet to break through to the first team. Kühne, also 19, has played 3 matches this season for SC Austria Lustenau in the Austrian Eerste Liga (second level), having made his debut for them last season. He has played 5 times for the Liechtenstein under-21s; curiously, the SC Austria Lustenau website lists his nationality as Austrian.. Lo Russo, 20, is the man between the sticks for FC Vaduz's under-23 team, which are currently topping the table in Switzerland's regional 3. Liga. He has played in goal for the national under-21 team on 5 occasions. Wieser, who recently celebrated his twenty-first birthday, was sent out on loan by parent club TSG Hoffenheim to Austrian Bundesliga side SV Ried at the end of last season, and has played 11 times for the team so far this season. He is by far the most experienced of the quintet, having already topped the 20-cap mark with the Liechentstein full national team, not to mention his six appearances for the under-21s. 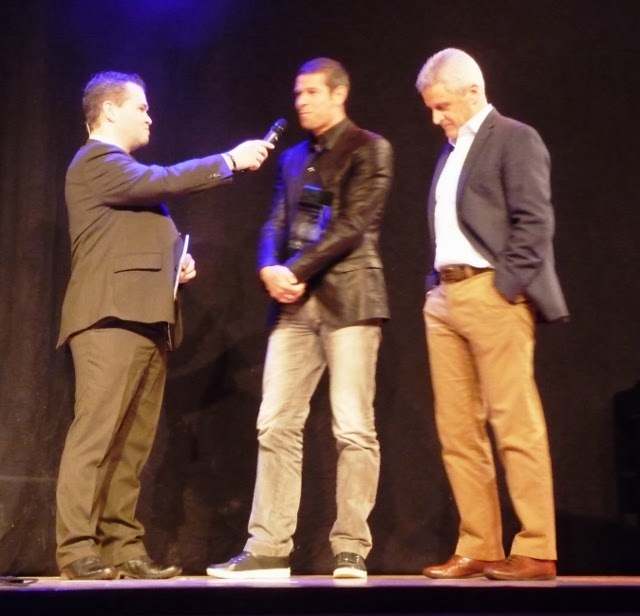 Three nominations were made for Manager of the Year: Giorgio Contini, Mario Frick and Uwe Wegmann. FC Vaduz manager Contini has been with the club since 2012, having previously managed FC Luzern. The 40 year-old's playing career saw him playing for some of Switzerland's best-known clubs, such as St.-Gallen and Lausanne-Sport. Mario Frick (39) surely needs no introductions to those keeping a close eye on football in Liechtenstein; Frick played 112 times for his country, scoring 16 goals, but has spent virtually all of his club career outside the country. Flick, who was born in Switzerland, spent much of his playing career in Italy, playing in Serie A for Hellas Verona and Siena, and also played for a number of Switzerland's top clubs both before and after his time in Italy. Flick's international career ended in 2011, and he then decided to return to FC Balzers, where he had played in the club's youth team. Frick took over the reins as manager in September 2012. Wegmann is the proud owner of a DFB Pokal winners' medal, having won the German Cup in 1996 with 1. FC Kaiserslautern; he played in the Bundesliga for both die Lauterer and Vfl Bochum. After later playing in Switzerland, Austria (and for FC Vaduz), he returned to Germany where retired as player-manager with FC Kempten in 2007, now found in the seventh tier of German football. Wegmann, now 50 years old, has been manager or USV Eschen/Mauren since 2008. 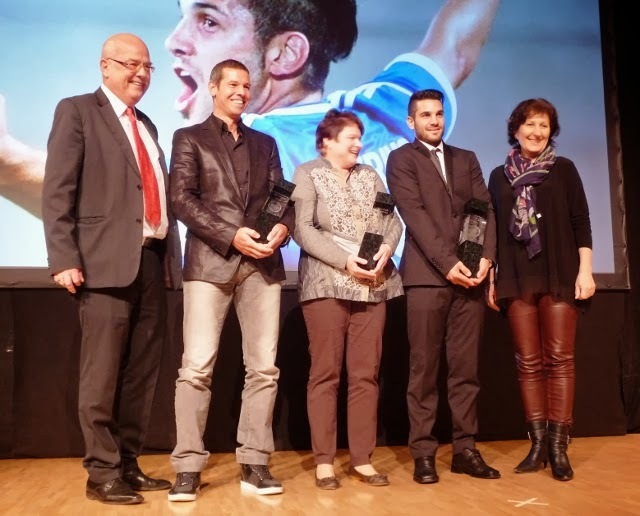 Five names were shortlisted for Footballer of the Year: Franz Burgmeier, Nicolas Hasler, Peter Jehle, Daniel Kaufmann and Michele Polverino. Burgmeier made history as the first Liechtensteiner to play professional football in England when he signed for fourth-level side Darlington in 2008; however, he, together with the rest of the staff on the club's books, was made available for transfer a year later as the club slid into administration and, eventually, non-league football. Burgmeier started off with home-town club Triesen in 1999, before joining FC Vaduz a year later, and won the first of his 82 full caps against Spain in September 2001. After leaving FC Vaduz for three years in Switzerland and his unsuccessful soujourn in England, he returned to Vaduz in 2009. Burgmeier (31) has won Cup medals in both Liechtenstein and Switzerland. Hasler has spent has entire career within Liechtenstein; the 22 year-old began his career with FC Balzers before moving on to USV Eschen/Mauren in 2010. He spent a year there, making his international début against Iceland in August 2010, before joining FC Vaduz, where he currently plays. Hasler has 10 under-21 caps and 26 full international caps to his name. The hugely-experienced Jehle (32) has been Liechtenstein's established goalkeeper for many years now, with his international career beginning - whilst he was a FC Schaan player - in the 2:1 victory against Azerbaijan in October 1998; this was his country's maiden competitive win. Two years later, Jehle was on his way to Grasshoppers Zürich, where he was to spend six years, though he played relatively few games for the famous old club's first team. A two-year stint in Portugal with Boavista followed, which ended in 2008 with the club being relegated following a corruption scandal. Jehle then spent a season at Tours in La Ligue 2 before returning to Liechtenstein in 2009 to play for FC Vaduz. The 'keeper was briefly on loan at FC Luzern last season, and won his 100th cap against Croatia in August 2013; Jehle's total of international appearances now stands at 105. Kaufmann's career pretty much mirrors that of Nicolas Hasler; Kaufmann began at FC Balzers in 2008, where he was to pick up the first of 10 under-21 caps for Liechtenstein in 2009 before transferring to USV Eschen/Mauren in 2010, where, later that year, he made the first of his 20 full international appearances in a 1:1 draw against Estonia. Kaufmann, 24, signed for FC Vaduz in 2012. Michele Polverino is also a full international with 39 caps to his name, and made his first full international appearance against Iceland in 2007. Polverino, a 29 year-old, began with FC Schaan before moving to FC Vaduz in 2002, where he stayed until 2005. Italy was his next port of call, where he spent a period with Sardinian side OIbia Calcio (now ASD Olbia 1905) until returning to FC Vaduz in early 2007. Polverino's next move was to FC Aarau in 2009, and then moved to Iran of all places in September 2011, where he spent the 2011-12 season with second-tier side Steel Azin. Polverino left Steel Azin at the end of the season, which saw the club relegated to the third level of Iranian football. He then moved to Wolfsberger AC in the Austrian Bundesliga, where the midfielder has more or less regularly featured in the side since his move there in the summer of 2012. It is not always the case in football that the efforts of those who work tirelessly behind the scenes are rewarded, but they are in Liechtenstein. 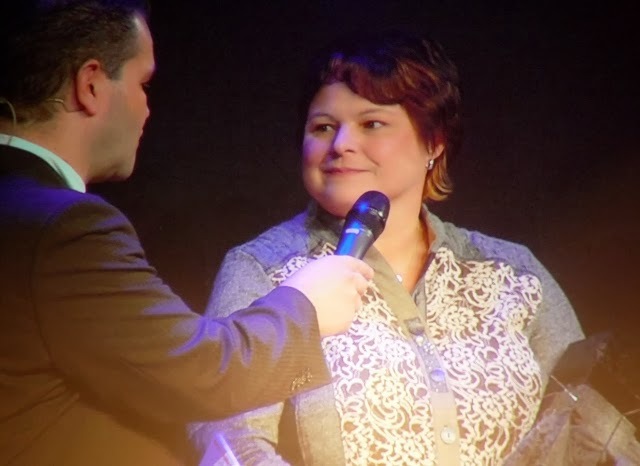 In addition to the awards profiled above, the LFV has an award for the club Volunteer of the Year, and that was awarded to a woman for the first time, the recipient being Margrit Beck-Miller from, fittingly enough, FC Triesen. The winners of each semi-final shall progress to the final, which shall take place on 1/5/14. AUTHOR'S NOTE: Many thanks to Aurelio for kindly granting permission to use the photos which appear in the above article, and also for providing some of the information contained within said article. Other sorces include the various club websites and the LFV website (www.lfv.li).